Curators Reah Lee Sing, left, and Turunesh Raymond. In today’s world photography is now at the fingertips of anyone with a mobile phone. It continues to be in some ways at odds with painting, where the question of what makes photography an art still remains, the Art of the Image photographic exhibition pushes the boundaries of expectations the viewer has of and the way we are conditioned to see the image, offering us a different way of looking. In Trinidad and Tobago, it is rare that those visiting an art exhibit think of the curatorial process behind an exhibition. In a photographic exhibition of this nature, where it is not necessarily the beautiful, saleable prints that are on display, it is with curiosity that we look through the eyes of the curators. Reah Lee Sing is a self-taught painter and owner of CHI Studio on Gatacre Street, Woodbrook, where the exhibition will take place. Turunesh Raymond, of Studio 66, Ethiopian by birth and nationality, settled in Trinidad for decades, is a trained artist. She studied in London and spent most of her life in Europe. “How did you as two artists decide on showcasing a photographic exhibition of this nature?” Sunday Newsday asked. 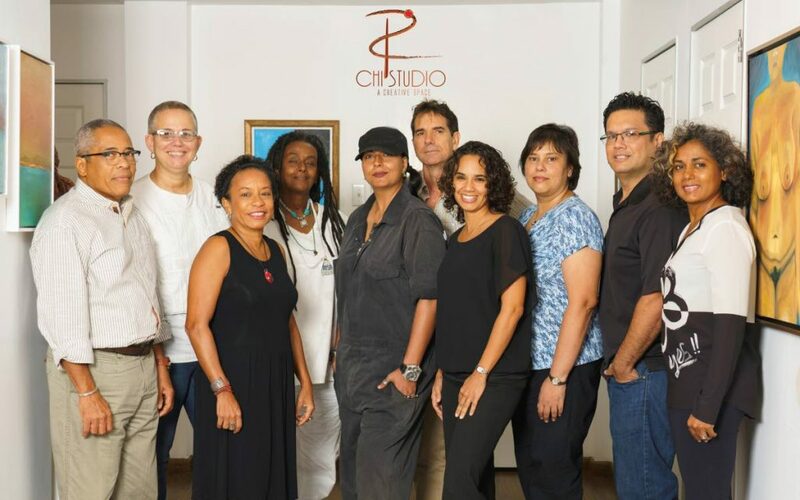 The photographers whose work will be exhibited at Art of the Image at CHI Studio from July 25 - August 25, from left, Louis Lee Sing, Maria Nunes, Christine Norton, Turunesh Raymond, Sarita Rampersad, Chris Anderson, Nadine Eversley, Stacey Williams, Chad Lue Choy, Reah Lee Sing. Missing: Nyla Singh. Lee Sing explained there is a bridge between the economics of the show and the value of what is seen. “There is the idea of living for your art and living from your art and this is a difficult balance. So we had to be aware of this given what we wanted to do with the show, which was not necessarily showcasing the usual pretty images that people expect. There are elements of this exhibition that are unsettling. For instance, like some of the Carnival characters,” she said, pulling up some images for Sunday Newsday to view. “Our purpose was to create drama, a narrative that speaks of ups and downs and also to create a space where people will not just look at things the usual way. When people think of mas, it’s pretty, but it’s not just that. There is the sinister side of mas which is not taken into consideration,” Raymond explained. “So you see we are so desensitised. It’s really a brutal way to come into the world,” Lee Sing commented thoughtfully. Speaking of positioning the exhibit within a local context Raymond explained that coming from Europe, where she spent most of my life, it didn’t take her long to figure out that art was not a lucrative thing in TT. Lee Sing interjected, “Do they know why they embrace this? Because it’s almost at if they don’t know that there can be more. Art of the Image runs from July 25 to August 25. During the four-week period, two talk events will be hosted to explore the depths of photography art. All nine photographers will come together on August 11 at 6pm to discuss their collections. 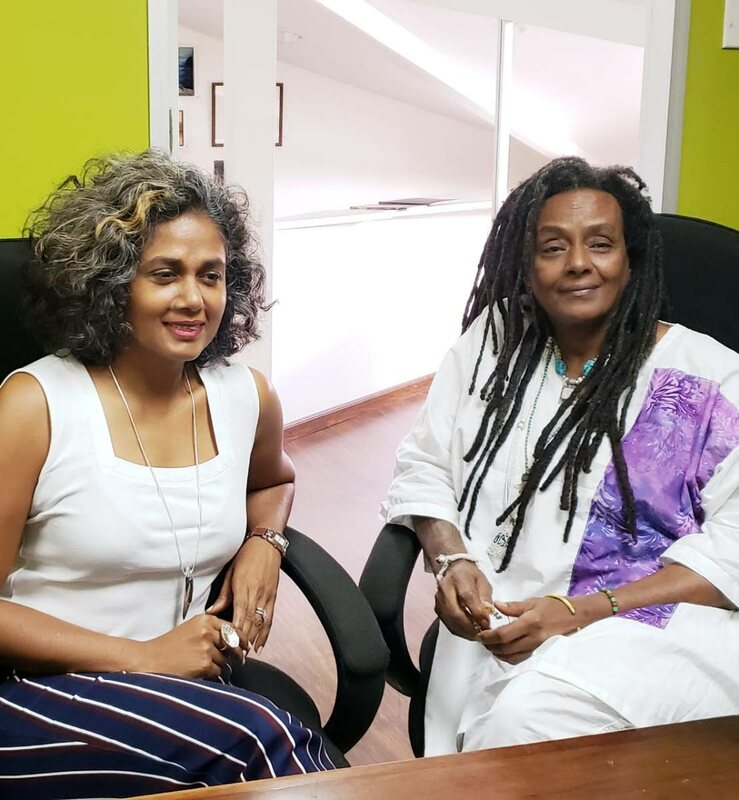 The exhibit closes with a collaborative event between Chi Studio and The Philosophical Society of Trinidad and Tobago, hosting other recognised curators in the national landscape to explore the digital facets of contemporary art in the Caribbean. Reply to "A curator’s perspective"